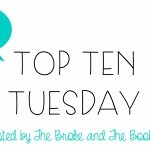 This month I’m partnering up with Lauren from Bookmarklit for Book Buddies, an every-other month feature where Lauren and I will choose a themed read to buddy read and then get together and discuss the things that stand out! 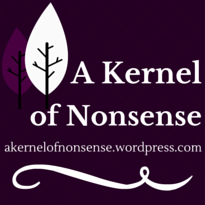 You can see our review in a Q&A format with half posted here, and half on Lauren’s blog! 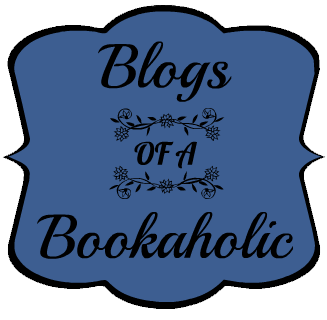 Book Buddy Reviews are usually posted during the last week of the month. 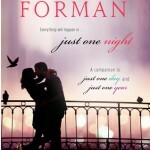 This month’s read Just One Day by Gayle Forman. 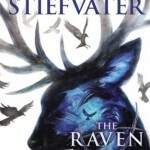 Read the second part of our review at Lauren’s blog here. 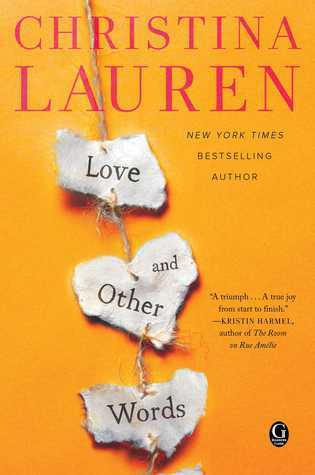 1) At the beginning of the book, Allyson meets a handsome stranger, and goes by the name “Lulu,” which quickly becomes an alter-ego of sorts for her that lets her jump out of her comfort zone. Did you find this aspect of the book inspiring? Have you ever gone by a different name/nickname and felt different when addressed by it? Lauren: I’m with you on that trope, I think. I’ve noticed a lot lately with some other books I recently finished that this idea happens too often for me. The girl doesn’t realize that she’s capable of changing her own life or being a different person; a guy has to show her that instead. Their relationship was definitely not unhealthy or anything, which I may usually attribute this kind of behavior to, but it still was a little off. As you said, it was central to the plot of her becoming someone else for the day (plus added to the confusion later when trying to track each other down), but it wasn’t entirely enjoyable. Allyson was acting unlike herself that day, which I think Willem knew, but it seemed like he fell for the girl he wanted her to be. He knew that she was usually more cautious (considering how she was so nervous to even go to Paris, or how she reacted on the train when he was gone for just a few minutes) but pulled her away from that. While I appreciate that sentiment of helping her open up to things, it would have been good for her to arrive at those conclusions herself or without becoming a new person completely. Another aspect I thought was interesting along those lines, is that she could have maybe gone by Ally or something instead of Lulu. It wouldn’t have been as drastic, but it may have even been more symbolic. Her mother named her Allyson but hated any shortened versions of that, so it would have been interesting to see Allyson defy her mother even more by allowing Willem to call her Ally. 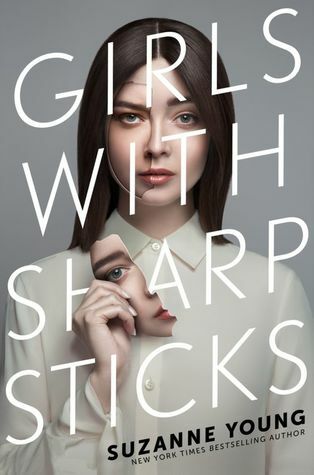 A lot of the book was centered around Allyson pulling away from her parents’ controlling behavior, so it would have been one more jab against them for her to go by a name that they disliked. Just a thought! I have gone by different nicknames, but not for any reason like this! I usually just acquire nicknames from friends or my boyfriend, but they’re just used in place of my regular name. I definitely know what you mean about nicknames in general, though – my boyfriend calls me Lumby (long story) and it would be really weird for anyone else to call me that. It’s actually kind of jarring when he refers to me as Lauren when talking to his parents or relatives! I’m so used to him calling me by a nickname. 2) In the second half of the book, Allyson heads to college for freshman year and struggles with fitting in, find motivation for school, and enjoying almost any activities. 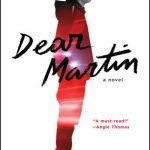 At one point in the novel a character mentions that she may have depression. 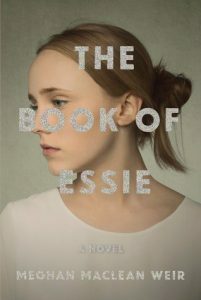 How did you feel about the book’s portrayal of mental illness? Cristina: I thought that the book did a good job handling mental stress/illness, especially associated with the transition to college, for the first half. 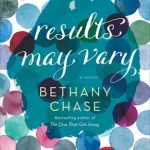 Allyson’s struggles to find motivation, to be happy, and to really be at all were heart wrenching to read. She even gets brought in to the guidance counselor at one point who points out she’s exhibiting “warning signs” of students who drop out and who are battling darker underlying issues. However, discussion of Allyson’s potential depression sort of just stops toward the end of the book once she decides to go back to Paris. While I get that taking action and reaching out to her peers helps her out emotionally, I think to bring up something like depression and use it more as a plot device and not talk about the deeper causes and healing and making it conveniently disappear is uncool. 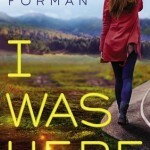 I also noticed the casual use of depression without really diving into the subject in Forman’s novel I Was Here. Lauren: I know what you mean. As I mentioned in my post, that part of the book was my least favorite for a lot of reasons. I understand that she was certainly depressed and felt stuck or helpless, but it was very hard to read. I think it’s mostly because I expected something much different from the book. I was looking forward to a somewhat light-hearted one day romance… and ended up with a whole year’s worth of story! I ended up enjoying that, of course, but it changed my impression a lot. I really didn’t expect there to be any kind of heavy stuff like dealing with depression. Honestly, I didn’t even think of it that way as I was reading. It makes more sense now, but I think you’re right – it was very casually and conveniently used in some ways. It was a plot device to show how Allyson couldn’t move on from what happened but didn’t offer much more than that. Her depression and issues were “solved” when she went back to Paris… even though there were many other aspects of her life (friendships, school, parents) that were making her unhappy. Those issues didn’t just go away when she left the country. I do think that, like you said, reaching out to her roommates and becoming friends with Dee really helped her in some ways – but not enough to cure her of depression (if that’s truly what the issue was). 3) Throughout the book, Allyson faces various reactions, from shock to disapproval to understanding, when she explains how deeply a mark “just one day” with Willem left her. Did you feel the romance from that one day was built up enough for the entire book to be based upon? Did it convince you to empathize with Allyson? Did you ever get irritated by her pining or did you understand it? 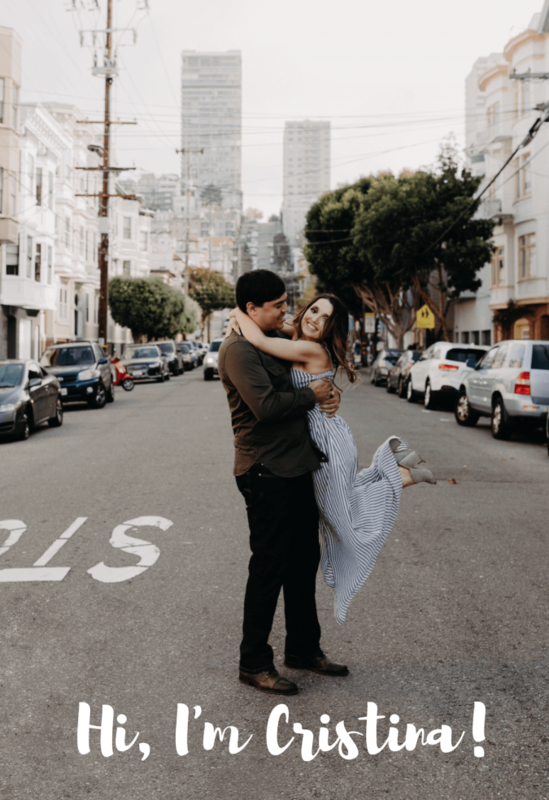 Cristina: Going in I was a little skeptical that I would feel any emotional depth from a one day whirlwind romance, but I was pleasantly surprised! 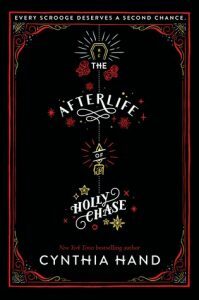 Forman did a great job making me feel the chemistry and tension between Allyson and Willem, and I rode an emotional roller coaster with Allyson throughout the novel, from panic to heartbreak to anticipation. In some ways I felt more caught up in their romance because it was so elusive…I kept thinking about Allyson’s heartbreaking aftermath of her day spent with Willem and felt that the aspect of that abandonment made me more invested in how things would play out between them. It was a beautifully written romance, even if from a very one-sided perspective, and I indeed felt “stained” by their encounter. Lauren: I agree! It sounded so much like insta-love that I was a bit concerned. I figured that, with such high regard from YA lovers, there must be something more than insta-love in it! I think she did a great job of building up the romance without making it seem like they were in love right away. I am so with you on the roller coaster of emotions. It was unreal how quickly my heart would leap and break for her as she went around the city. 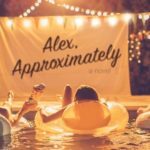 It was definitely beautifully written despite only being from Allyson’s perspective – and hey, that’s what Just One Year is for! It’s interesting because I feel like in a lot of ways, the romance was built through their time apart. I definitely saw the chemistry between them in the short time they were together, but seeing them apart for so long built it up even more. “Distance makes the heart grow fonder” in this case. I think the only time I was somewhat irritated by her pining was while she was at school sometimes. The depression that we talked about earlier was clearly mostly brought on by being away from him and not knowing what happened. I was so glad when she stopped moping around, told her friends about him, and took action! She tried to reach him by letters, Facebook, Google – anything she could. She finally had a purpose and wasn’t just sitting around complaining or missing him. 4) A running theme throughout the book is Shakespeare’s works, specifically the idea of “pretending” to try on different identities. Almost all of the characters try on and shed multiple identities throughout the novel, especially Dee, Melanie, and even Allyson’s mother. 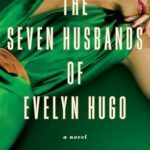 Given the fluid nature of identities, do you think the Willem Allyson encounters at the end of the book is anything like the one she initially met? Do you think they’re still compatible if they’ve both changed? 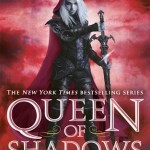 Cristina: I think Allyson is really different at the end of the book then she was at the beginning, even as the adventurous “Lulu.” Though she idolized Lulu and wanted to emulate that personality again the end, I think Allyson at the end was less about adventure and risk taking and more confident and calm. In fact, I think Allyson came full circle, and in the end learned to use those reliable and responsible aspects of her personality in new ways: to travel and find herself rather than to stay within the limits and expectations of others. I think, therefore, that the Allyson Willem meets later on is much different than his perception of Lulu, who was a reflection of her desire to be seen a certain way by him. Yet I think this will make her even more compatible with him- she’ll truly be able to hold her own. Lauren: What a great question! I didn’t even consider this while reading. Well, I’m hoping that they’re still compatible! Otherwise my heart would break even more than it already did on and off throughout the book. You’re right about Allyson coming full circle. She definitely used some of her previous smart attributes as Allyson with the adventurous spirit of Lulu when she returned to Paris. I think that was shown through the fact that she introduced herself to people as Allyson first instead of Lulu; if she was still trying to be Lulu in Paris, she would have gone by that nickname to all of the new people she met. She even had to tell people of the Lulu nickname as an afterthought at times. As far as the others in Allyson’s life, they were all certainly trying on different identities. Melanie was one of them for sure. She was a bit more obvious in her changing clothes and nicknames, but she seemed to finally find herself towards the end of the book. She was an interesting character for me and followed the common trope of “we grew up together so we’re best friends but otherwise have nothing in common” kind of friend. It was a major theme of the book, coupled with the influence of Shakespeare’s works, that people are much more complex than meets the eye. 5) During the course of the story, Allyson faces increasing conflict with her parents as she puts aside many of their dreams and expectations of her and substitutes them for her own. Did her parents annoy you, or did you find their role believable? an influential force in her life, and how her choices had ripple effects through the whole family, for better and for worse. 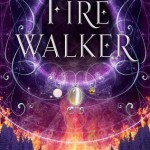 It made me feel closer to Allyson as a protagonist, watching her not only discover herself but discover who she was as a daughter and a granddaughter, and learning how to set limits and boundaries for those roles. 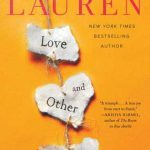 Lauren: There were a lot of things that bugged me about her parents, but a lot of things that made sense. A lot of their reasoning, especially for her mother, was shown at the end. 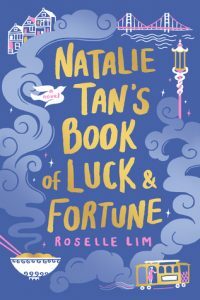 There are LOTS of YA books where the parents are always missing so it was a nice change to have them be around – even though she was rarely with them physically. I think it was realistic to me in many ways because Allyson’s mom’s sole purpose was to raise her and pay attention to her. Without that, she didn’t have any reason or “excuse” to not be working. Having your only child go off to school like that certainly would have made anyone in that situation a little overprotective. Yes, I think they took it to a whole new level, but I do also think most readers can relate to some of it! 6) Just One Day has many elements which could classify it as either Young Adult or New Adult. Which would you classify it as? 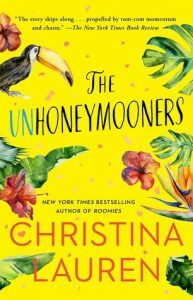 Cristina: I haven’t read many books specifically marketed as NA, but when I think of NA this is everything I want in it: post high-school protagonists that are still figuring out what it means to be an “adult,” physical intimacy that’s not shamed or looked down upon, characters redefining their family dynamics, the role of college life, etc. 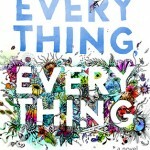 I think this book had a lot of wonderful self-discovery aspects that are so integral to that true “young adult” gap between graduating from high school and figuring out your role in the adult world, and I really enjoyed how it focused on the college age range (and some characters even slightly older than that). I would have to classify it as New Adult, personally! Lauren: I always consider the definition of Young Adult to be more tame compared to New Adult, regardless of the age group. In the NA that I’ve read, there were more explicitly sexual scenes or a lot of drama and angst. The YA market usually eliminates some of that and keeps people in high school. I do think it’s unrealistic when YA doesn’t show physical parts of relationships in its books; those aspects of high school certainly happen. It’s silly to imply they don’t. I just think a lot of YA authors want to stay in that niche to keep away from the stereotypes that go along with NA books. Overall I think the age group would definitely be the only thing lending itself towards the traditional definition of New Adult. 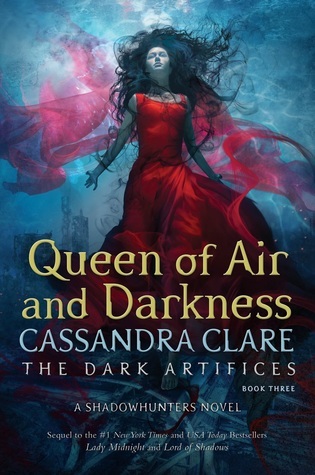 I totally agree with you on the aspects that we WANT to see in NA books: the changes, the college experience, the physical intimacy – that’s what I would like the real definition of NA to be. I guess my opinion is kind of divided! I want to say NA because of the age group and the changes it brings, but I want to say YA because I think it can still appeal to that younger audience too, just because of the lack of majorly intimate scenes. I think us bloggers need to make a petition or something to change the standard definitions of YA and NA! I was skeptical going into Just One Day, expecting a fluffy, whirlwind romance. 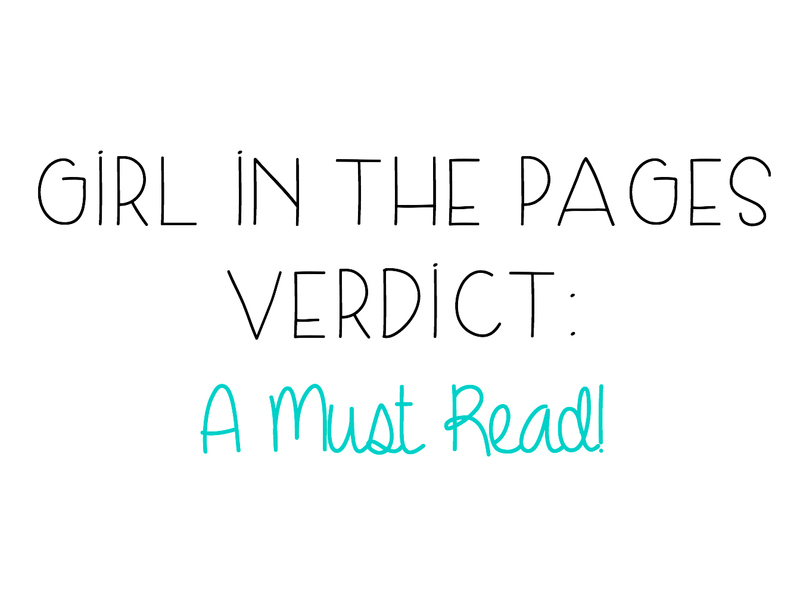 Instead, I encountered one of the most heart-wrenching YA romances I’ve read in a long time, complete with deeper themes about depression, self-discovery, and the transition from teen to adult. While it did have a cliff-hanger ending, it didn’t feel like it lacked closure because the protagonist had so much personal growth. 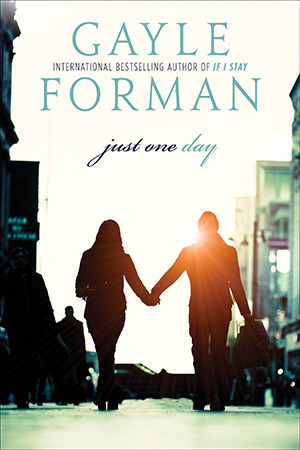 Forman’s writing is beautiful and raw and I’m so glad I gave Just One Day a chance, because it reminds me of why I should spend more time reading in the contemporary genre! 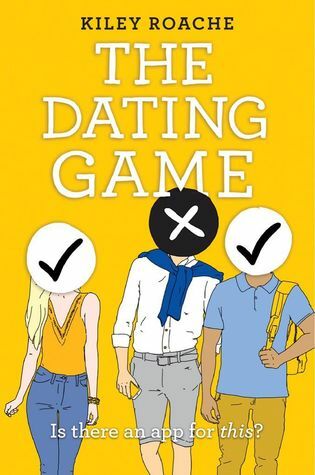 If you’re a fan of contemporary romances, or if you need something to convince you that they’re more than just fluff, you need to read this book. 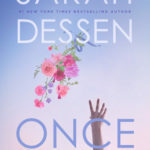 Rereading Sarah Dessen | Once and For All Review + Dessen Favorites! Now you’ve got me intrigued, dammit! Like I need more book, LOL. Right?! 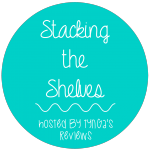 I’m dreading the day when my goodreads TBR shelf is more than my “Read” shelf…it’s going to happen soon! 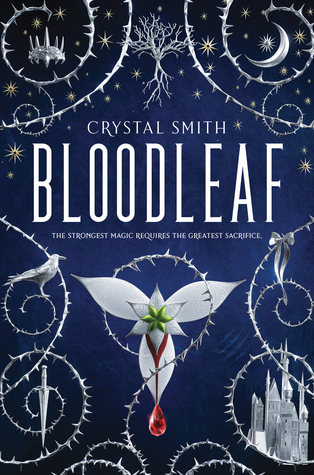 This book is really, really worth adding to your TBR though! That’s already happened to me, uh-oh!